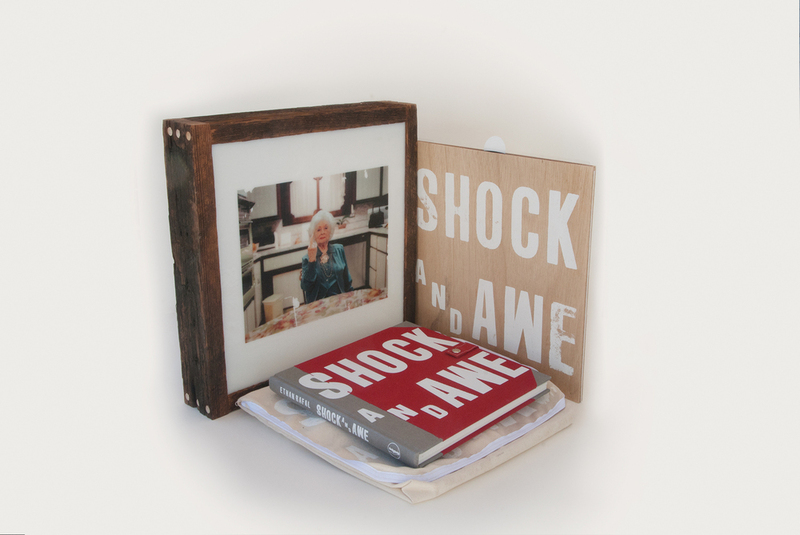 Shock and Awe — Special Edition: 2.0 Following the publication and extensive touring behind Shock and Awe, the Special Edition continues to explore the process of history-making, the gentrification of memory, and the enduring capacities of the American Mythology. It is intended to be a house for memory and contemplation. I hope you may soon hold this edition in your hands — until then, please take a moment with this short film. The Shock and Awe Special Edition was completed over the course of several years. After the release of Edition 1.0, in 2015, the studio team decided that it could be better — it could be perfect. With the release of Edition: 2.0, it is. 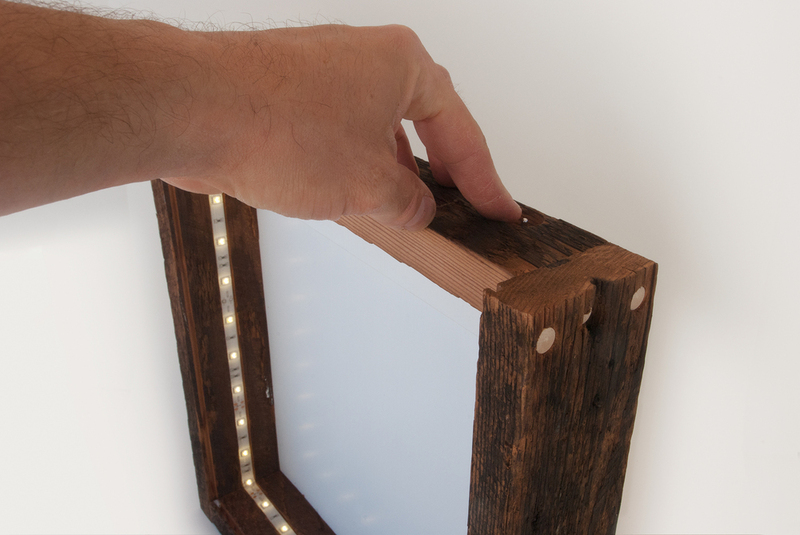 We retrofit the first batch from 2015, introducing indestructible LED lights to the antique Redwood and Douglas Fir — 19th century wood, illuminated by the 21st century. It was a radical, fragile task — it was the answer needed for space, function, feel. 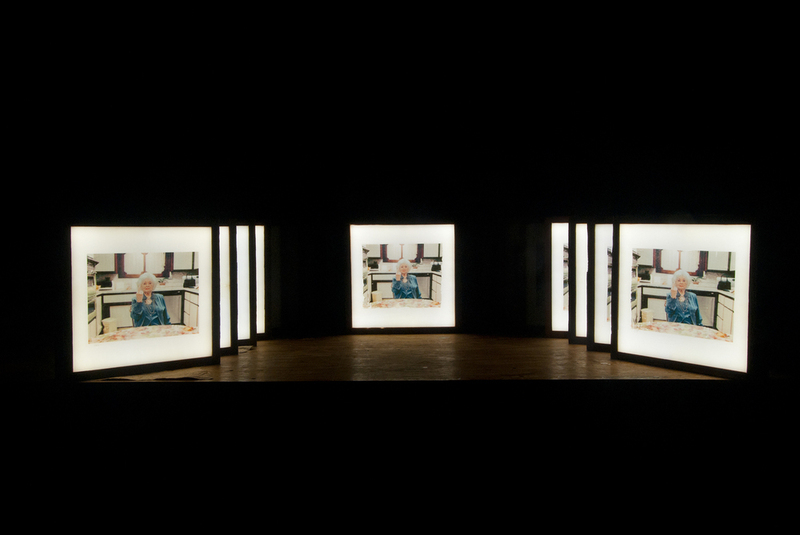 This edition is a house for memory — a means to engage history-making. Opening the box is a kinesthetic experience of the American Mythology. The glow of the West Virginia-crafted white glass is perfect — the unique, transfer prints feel something between a bus advertisement and an icon built from stained glass. 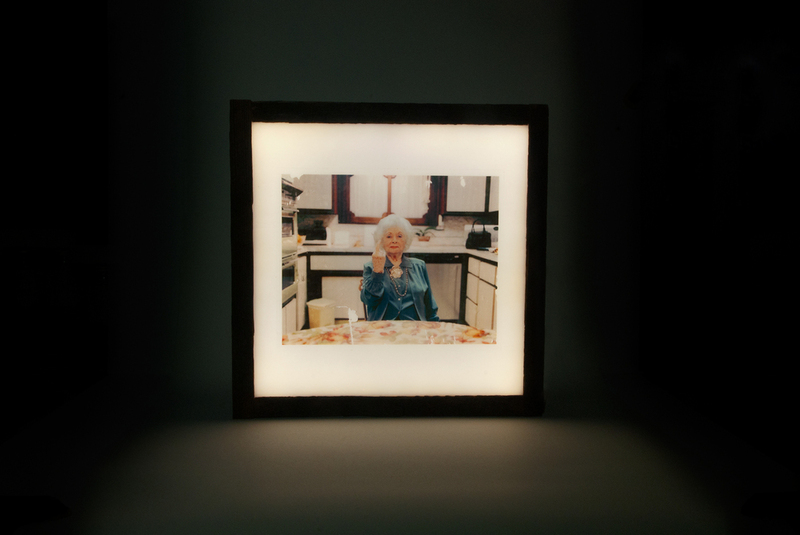 Inside, we created a soft pouch for the puzzle, which also depicts Freda Rafal, Queens, New York. 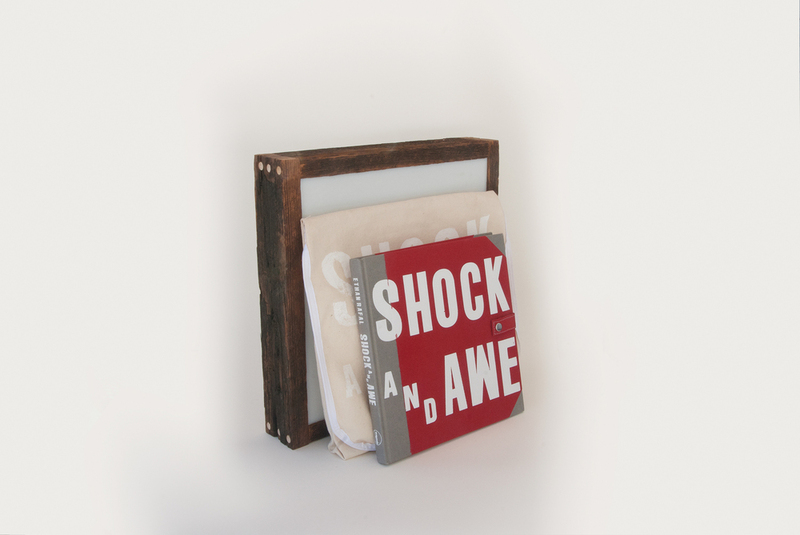 After years of experimentation, we perfected the design of the wooden record sleeve — housing an LP, a live-recording of the performance of Shock and Awe on the #shockandawebooktour. This recording literally and metaphorically keeps the Shock and Awe — First Edition and puzzle in safe keeping. Removing these contents reveals the edition’s true potential — illumination. 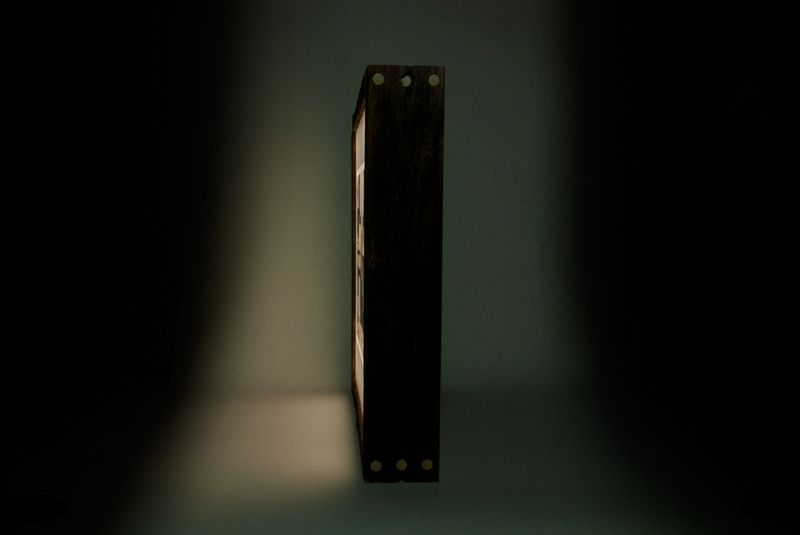 The light switch and electronics are built into the wood itself, the box is secured by a steel baseplate. While rough on the outside, the inside is finished with UV-non-absorbent titanium paint — releasing the maximum volume of light in the most even manner possible. The total combination of materials, and the experience of using them, is a harmony of content and form. The Shock and Awe Special Edition required years, and a dedicated team. I am proud of the work behind this edition, and I am proud to share it with you. 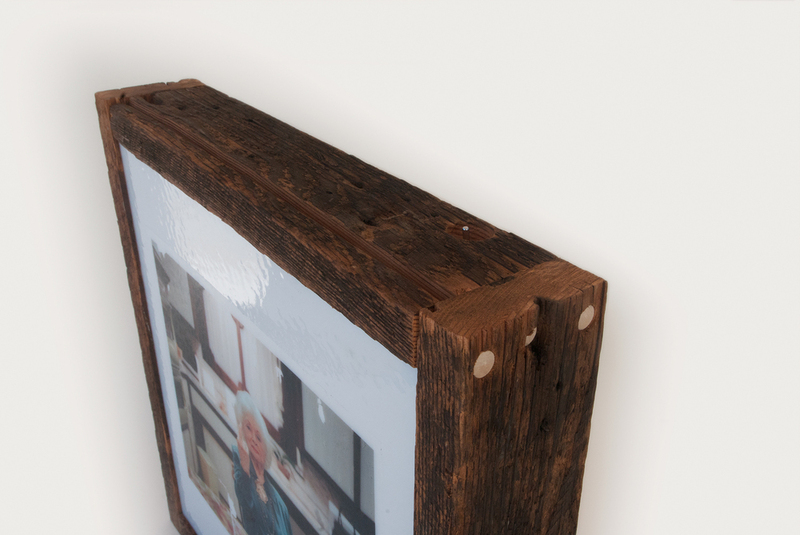 Wood was collected in several phases — upon the destruction of a local chapel, as wood appeared on my friend’s farm in Northern California, and as intuition led to the remains of frontiersman’s homes. Steel was collected around the corner from my studio. The glass for the guillotine-style cover was sourced in West Virginia. 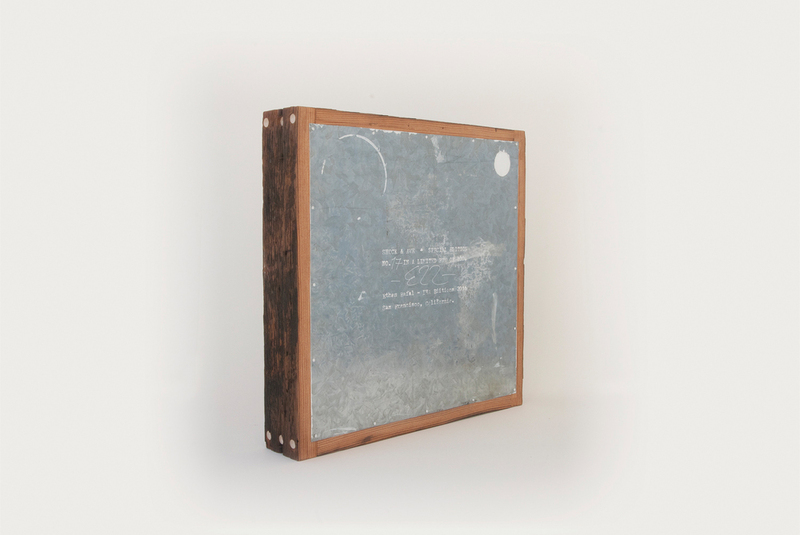 The LP sleeve is made from wood, the result of a nay-sayers double-dog-dare, “it can’t be done” — an experiment that required countless iterations over two years (thanks Thom!). Screen printing on the wooden LP sleeve - and the puzzle pouch - was completed at The Farm, San Francisco, via Chris McNally Drawing Services. Recording of the LP was also completed at The Farm — at the legendary Tiny Telephone Recording Studios. The vinyl was pressed in Long Beach, California. 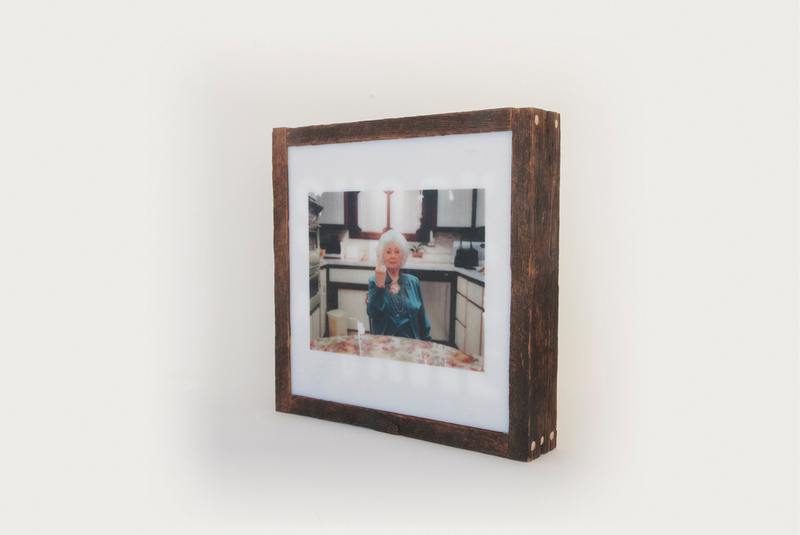 The puzzle depicts Freda Rafal, Queens, New York, the last image in Shock and Awe. Raw canvas for the puzzle pouch was sourced locally. Sewing, and design guidance, was generously provided by Dana Gleason. Lotus Grenier consulted on architectural concerns — practical and theoretical considerations of space, function, memory. It was my goal for this edition to be a house for memory. With such enduring, generous support I believe this goal has been achieved. Inspiration for the edition came from near and far. I see this as a work of Slow Culture. I continue to feel inspired by my community in Northern California and the Pacific Northwest — Thank you. Stay Slow. Stay Indy. Stay Good.